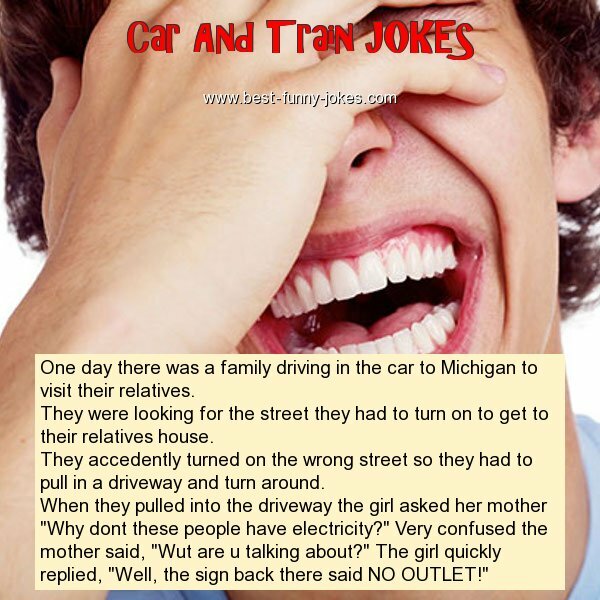 One day there was a family driving in the car to Michigan to visit their relatives. They were looking for the street they had to turn on to get to their relatives house. They accedently turned on the wrong street so they had to pull in a driveway and turn around. When they pulled into the driveway the girl asked her mother "Why dont these people have electricity?" Very confused the mother said, "Wut are u talking about?" The girl quickly replied, "Well, the sign back there said NO OUTLET!"